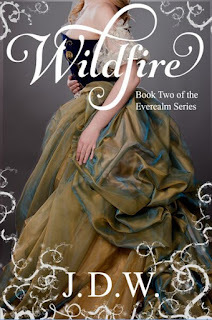 Wildfire (Everealm #2) by J.D.W. Source: This book was given by me by YA Bound Book Tours in exchange for an honest review. The journey through Everealm continues as new evil arrives, casting mayhem about the realm. While war and wildfire are causing disorder, Bree and Rowan find that assistance from the fairies isn't what they imagined. As Dagan and Sidonie seek answers to uncover the truth about her family and her magic, they are plagued with even more mystery to unveil. As the wildfire burns, who will be left standing in the ashes? 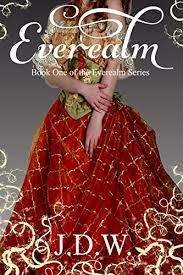 Danger awaits, as we journey through Everealm, the first book of the Everealm Series. Source: This book was given to me by Bewitching Book Tours in exchange for an honest review. Historian and ancestry website owner, Cassie first became interested in her long lost Broun clan when she realized life was about to change forever. 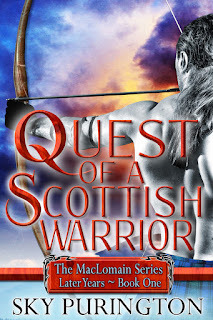 Faced with possible blindness, she seeks out her Scottish bloodline only to discover there is so much more to it than she could have anticipated. Not only will she find answers to her questions but a doorway into the distant past via a Claddagh ring. Synopsis: In a world full of magic and mystery, eighteen-year-old Maia is the exiled princess of Comoros and rightful heir to the throne. 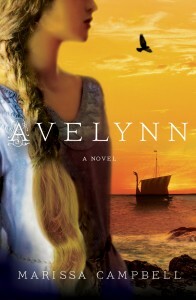 Forced to live as a servant in her enemy’s home, Maia flees her captors and begins a perilous quest to save her people. To survive, she must use magic she has learned in secret—despite the fact that women are forbidden to control it. Hunted by enemies at every turn, Maia realizes that danger lurks within her, too. Her powers threaten to steal not only her consciousness but also her sense of right and wrong. Can she set herself free and save the realm she loves—even if her people have forgotten her? 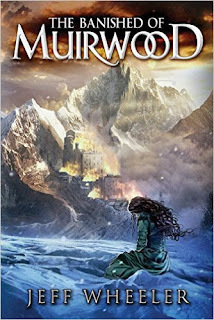 In bestselling author Jeff Wheeler’s fantasy epic, the answer may be only the beginning to Maia’s journey throughout the mystical land of Muirwood. The Sisters of Versailles (Mistresses of Versailles, Book One) by Sally ChristiePublication Date: September 1, 2015 Publisher: Atria Books/Simon & Schuster Formats: Ebook, Paperback Pages: 432 ISBN-10: 1501102966 Genre: Historical Fiction READ AN EXCERPT. Synopsis: A sumptuous and sensual tale of power, romance, family, and betrayal centered around four sisters and one King. Carefully researched and ornately detailed, The Sisters of Versailles is the first book in an exciting new historical fiction trilogy about King Louis XV, France’s most “well-beloved” monarch, and the women who shared his heart and his bed. Source:This book was given to me by the publisher in exchange for an honest review. 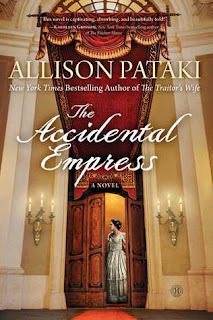 Synopsis: New York Times bestselling author Allison Pataki follows up on her critically acclaimed debut novel, The Traitor’s Wife, with the little-known and tumultuous love story of “Sisi” the Austro-Hungarian Empress and captivating wife of Emperor Franz Joseph. Synopsis:From the New York Times best-selling author of The Drunken Botanist comes an enthralling debut novel based on the forgotten true story of one of the nation’s first female deputy sheriffs. Marissa Campbell's debut novel is a winning combination of romance, history, and adventure sure to appeal to fans of Diana Gabaldon.